Everyone who knows me, know i LOVE my indie polishes. Lately, I've been discovering more and more that i haven't tried before and find myself pulled toward them. 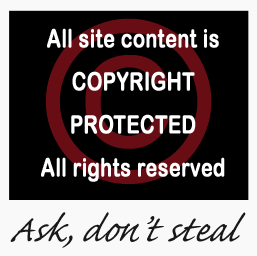 So as i investigate which ever new brand - ill be sharing them with you too. 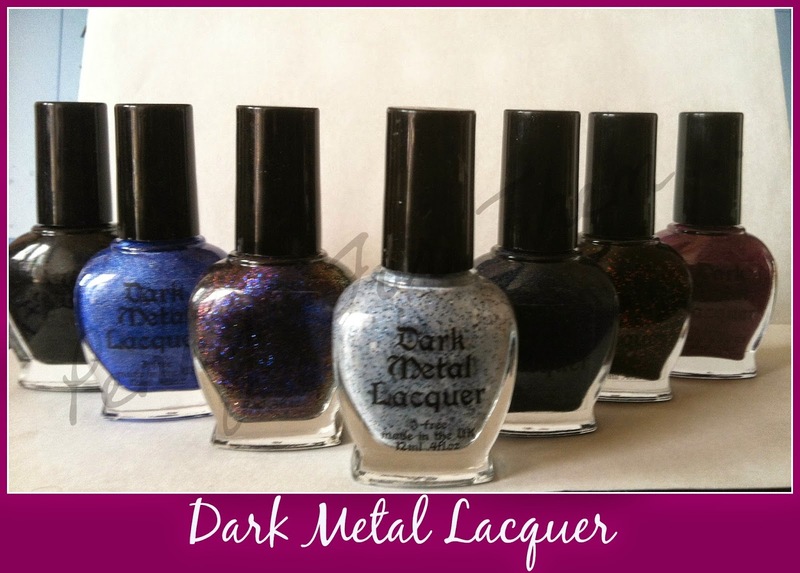 So, first up - DARK METAL LACQUERS! 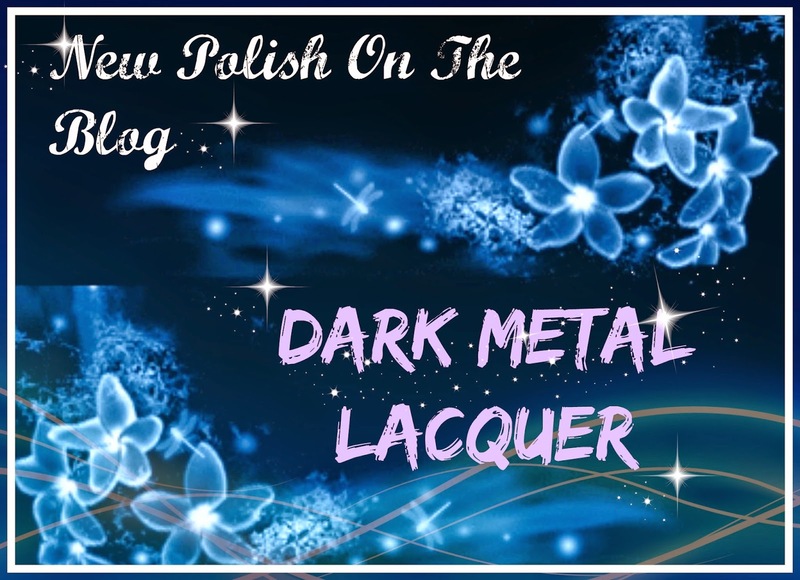 Dark Metal Lacquers was the Brainchild of Kamila, who with a little help from boyfriend at the beginning got the polish brand up and running! Now its all done to Kamila! 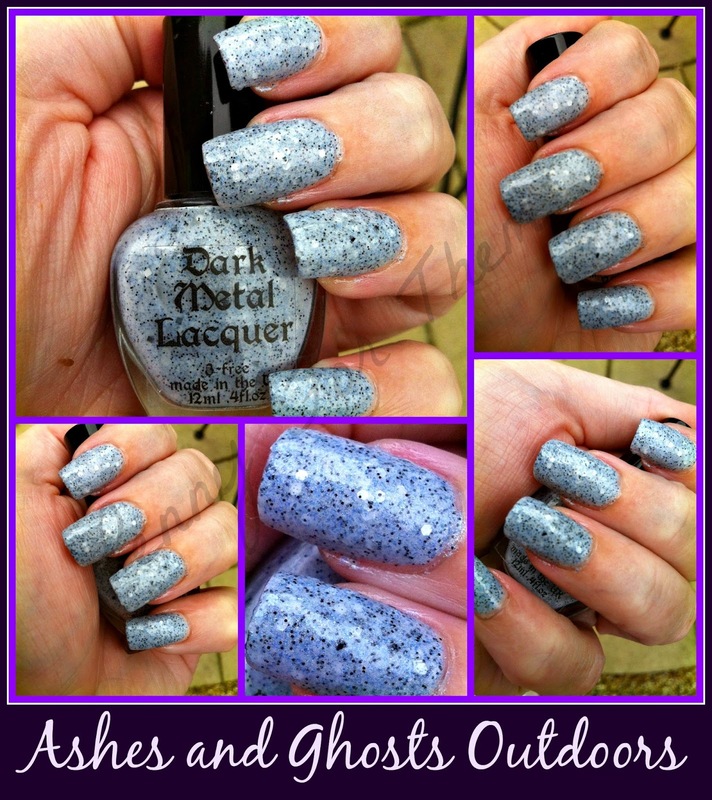 The Etsy shop first opened for business on 24th April 2014 and still sells the first polishes she made - Heurt, Havens, Gas in Veins, Pursuit of the Sun and Allure of the Earth. An exclusive polish called "Trouble" which came if the whole set was bought. 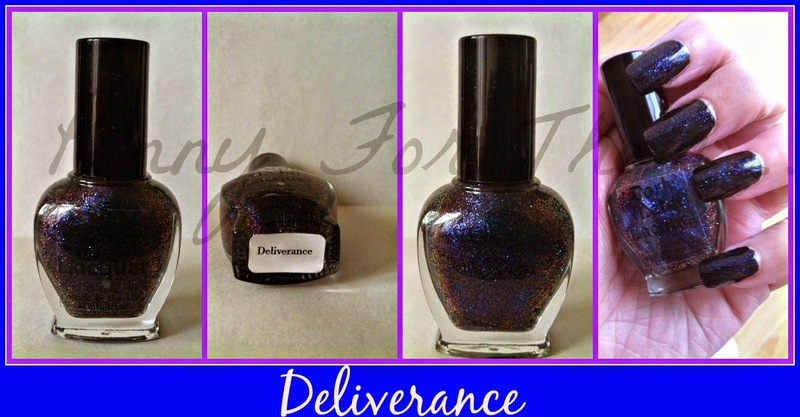 If the polishes are out of stock, Kamila says shes just waiting for the pigments to make them available again! Even though the shop only opened in April, Kamila has been mixing polishes for over two years - driven for a need to find the perfect holo for her - and ended up making her own brand! This is a picture of her very first polish she made! The names of the polishes come from Music that Kamila enjoys to listen to...and "...because I'm awful at making names up...". 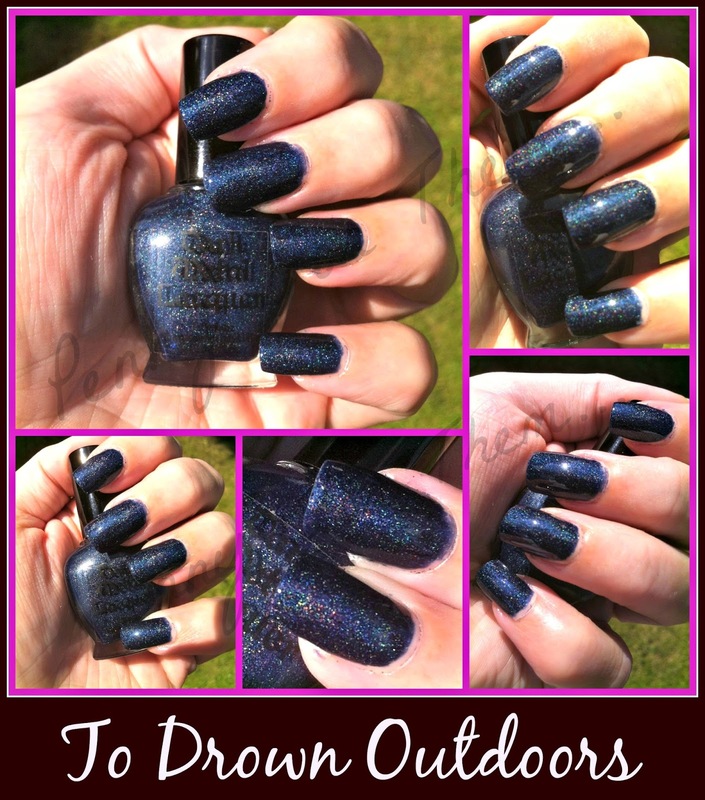 And they all come under the umbrella name of Dark Metal Lacquer as Kamila says "..is the general term best describes them all..."
So, that's the background, let me introduce you to the beauties that are Dark Metal Lacquers! 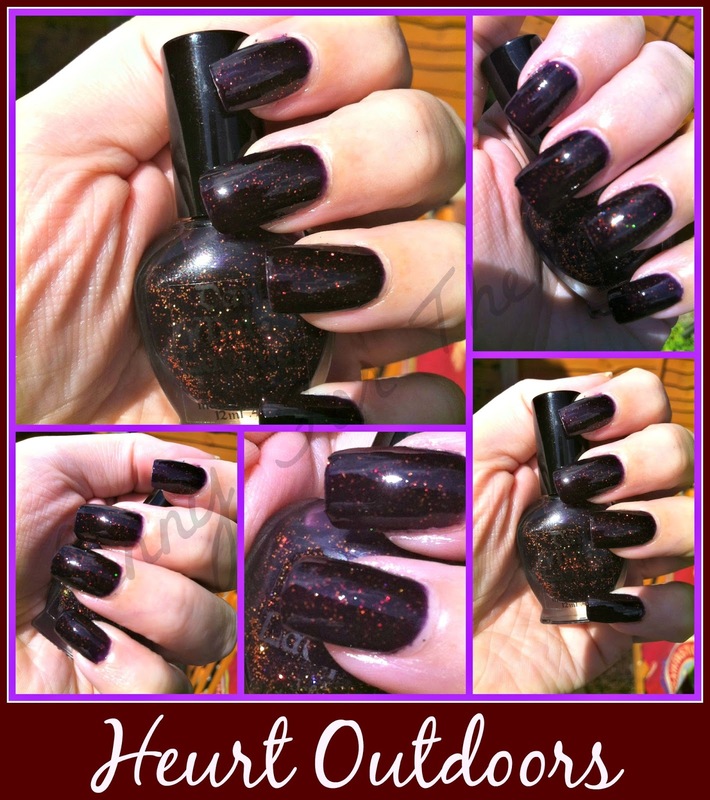 I took pictures of the polishes both indoors AND outdoors (while we had the sun!) as they seem to come majorly alive in the sun, but still pretty indoors as well! All polishes had Eye Candy Base Coat Advanced Gel Wrap, Eye Candy Top Coat Advanced Gel Wrap and all were 2 layers of polish. 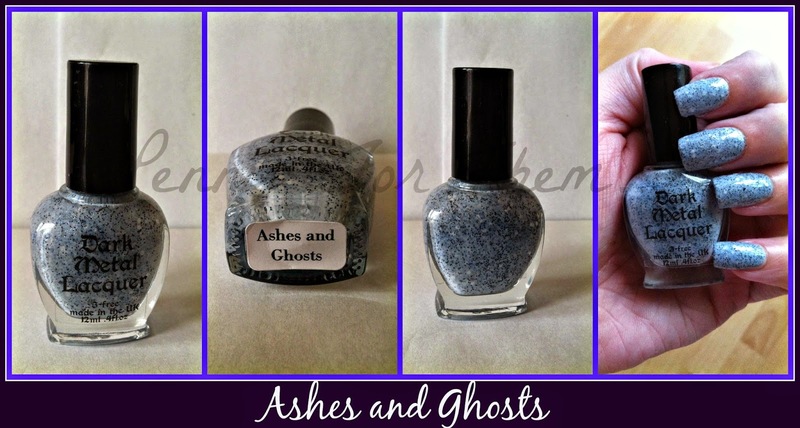 First up is "Ashes and Ghosts". Sadly this was a very Limited Edition of just 12 and WILL NOT be restocked. I feel pretty lucky to get one! And its surprisingly pretty! You can see indoors the white base is a lot more visible, where outside it shifts to a very light sky blue. Crelly based and very easy to apply. No digging around for bits of glitter or decoration with this one - its on every single brush stroke! Love it! And its not my usual type, so like i say, pleasantly surprised with this! It's more noticeable outside but as hard as i tried i could NOT get it to show the absolute gorgeous deep purple that is hidden inside the polish. The glitter seems to turn to a reddy orange and its just gorgeous! Another crelly, with a delicious scattering of holo running through it. Following this is a deep pink holo that really DOES come to life in the sun... 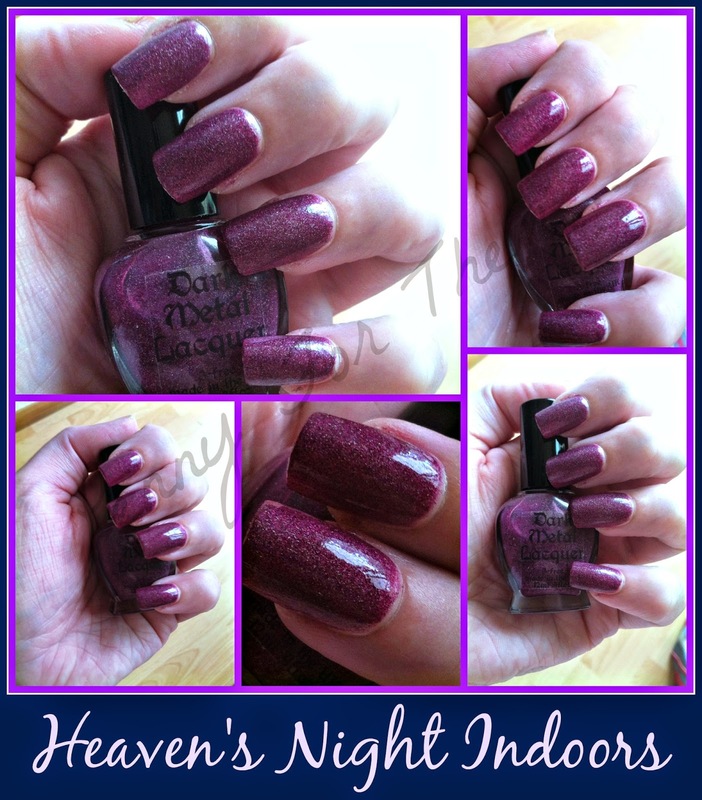 This is "Heaven's Night" - again another Limited Edition to just 10 and not to be restocked. I love pinks and purples so this HAD to be mine! 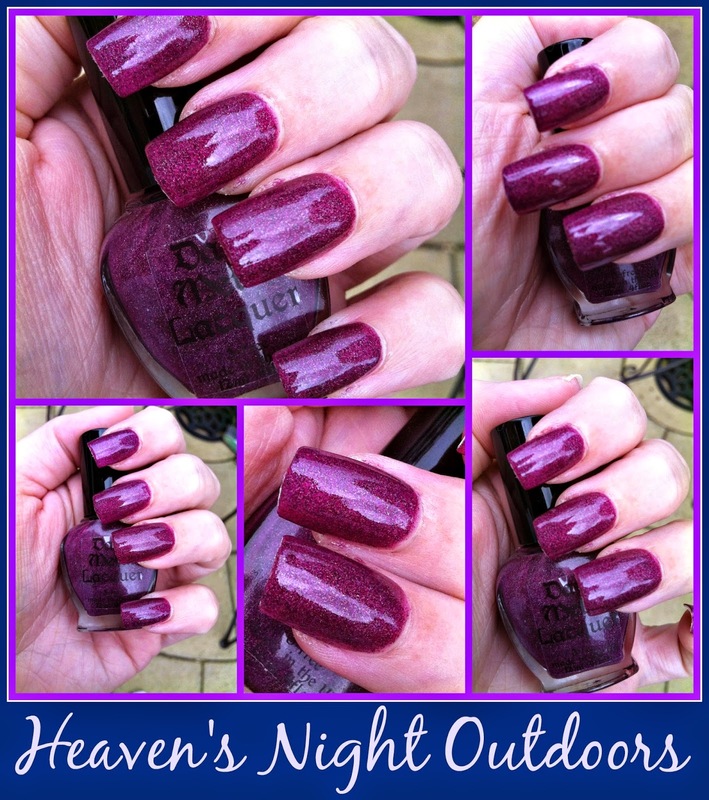 Even indoors the colour is a drool worthy plum purple....but take it into the sun....and WOW - the colour lifts to be a little brighter, the holo shines through and the teeny pieces of micro glitter is just the perfect finishing touch for this. Kinda sad you guys wont be able to own one and a bit of a tease for gushing over it to you! Sorry! 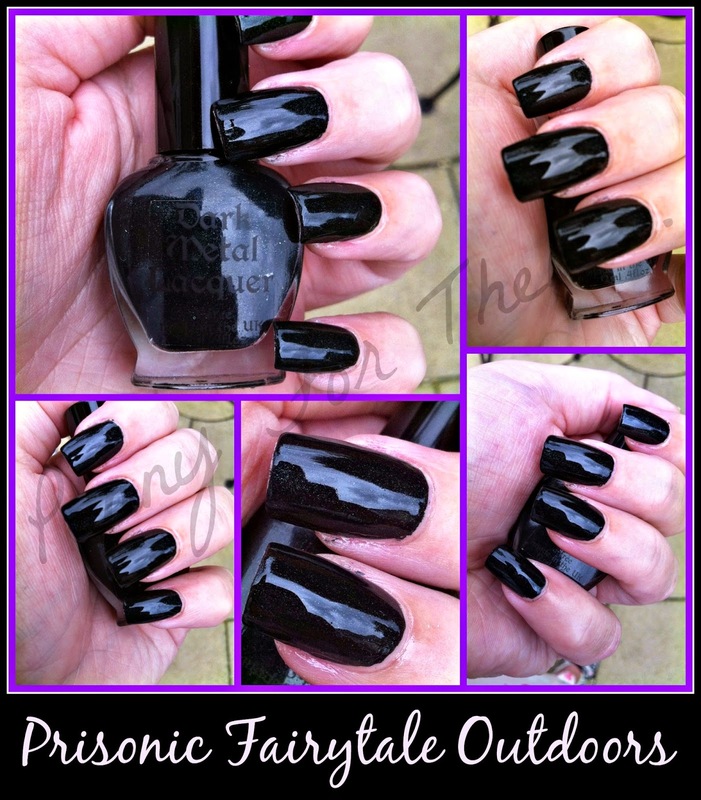 Going a bit darker - again, hidden in the disguise of being black "Prisonic Fairytale" was another surprise and still available to buy. Personally, i think the indoors actually shows the true colour easier - its a very deep emerald green and for me - who doesn't suit greens AT ALL - i actually like it!! Perhaps because isn't the type of green that's noticeable..not sure! 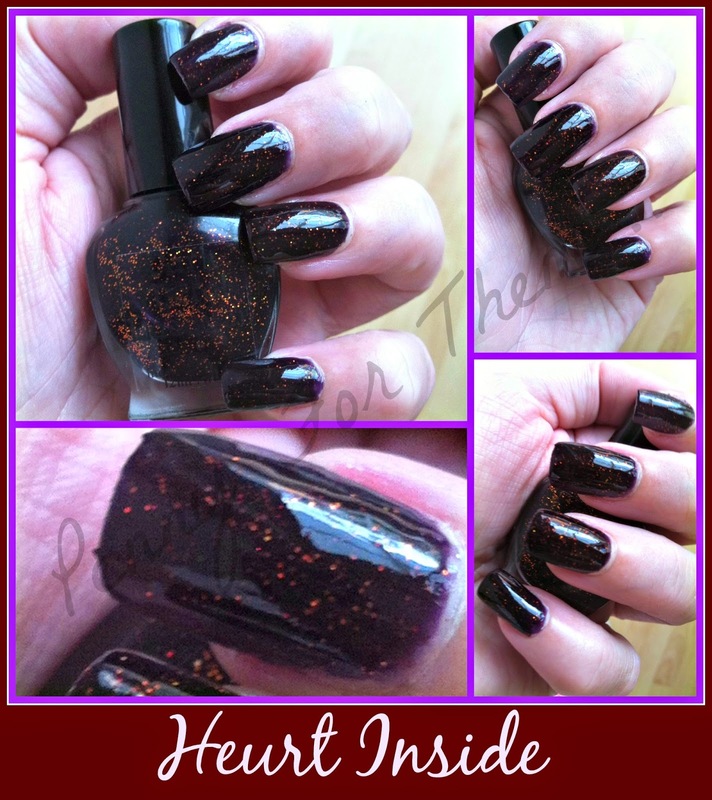 The holo is jam packed in this one, and although it may look too dark for Summer - i think this is a great one for any season - and so much can be done to jazz it up if that's what you wanted! I love my blues, and this shade is perfect for me. This is called "To Drown" and again, is still available to buy! 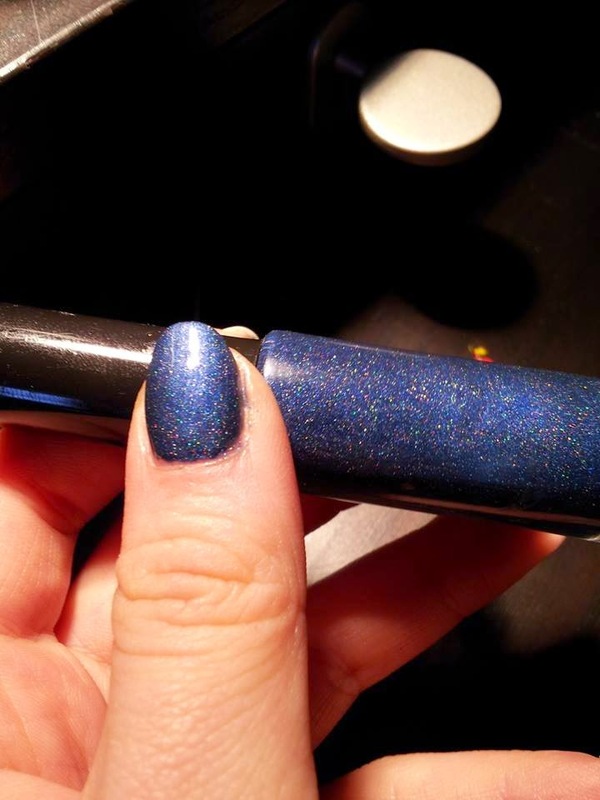 a spot on navy Blue colour that looks lovely inside - but WOW when outside - like a lot of these polishes- this one really does give a little bling bling to it!! Another blue, this time a lighter one, but no less gorgeous. This is "True". A good simple holographic polish that lives up to its name! What can be said that the pictures don't!? 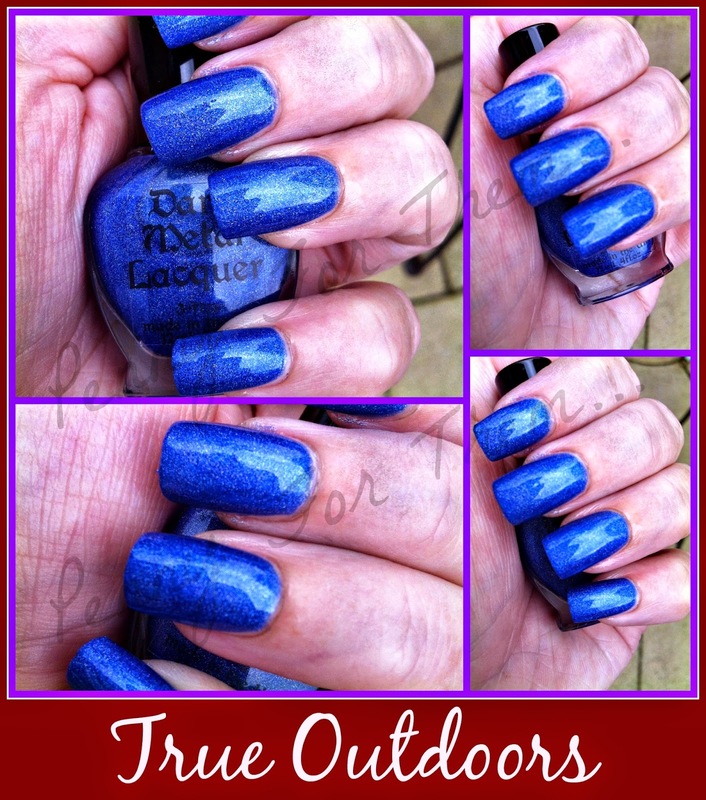 Beautiful blue, looks great indoors and outdoors....a True Blue! The last one is more of a topper, than a polish on its own. 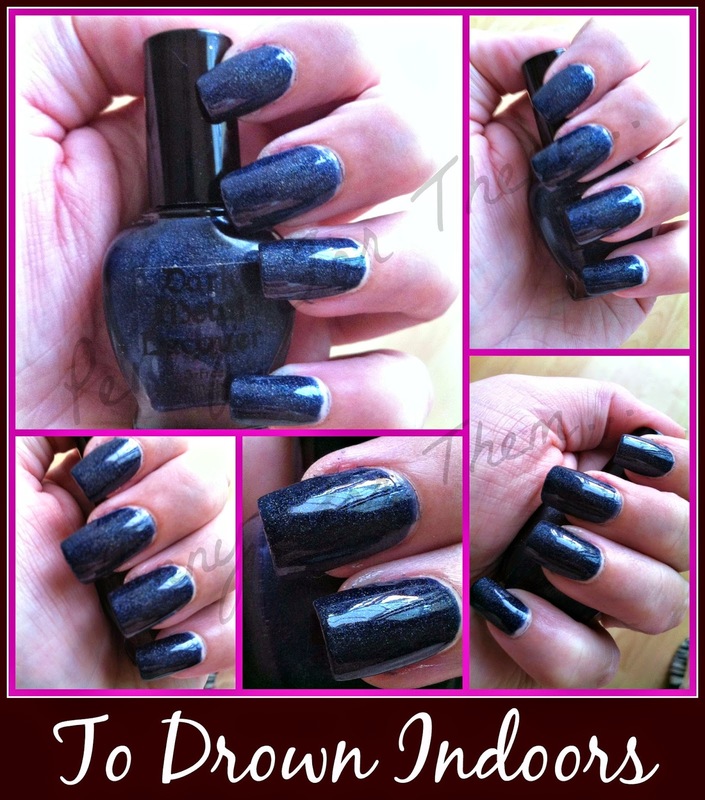 I tried 3 coats - so i did try but it goes fantastic over darker colours! This is called "Deliverance". The bottle shows clearly that the shifting colours can go from blue, to purple, to red and orange. And i would really recommend doing it over the darkest colour you can - i used Sinfuls Basic Black polish and it looked yum!! 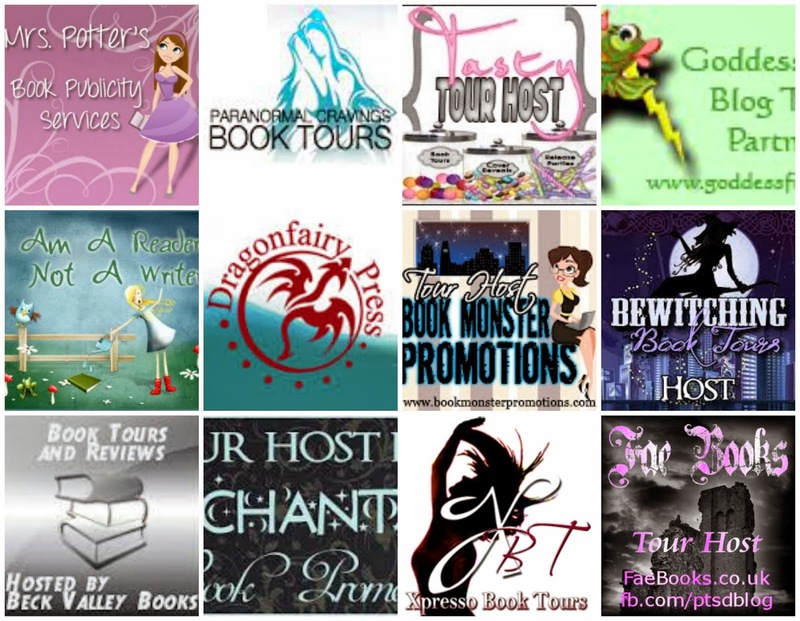 I've made this picture a little bigger in hope you can make out the slight changes. Especially in the bottom right hand corner picture - this shows blue and orange colours. But blue is the most dominant but looks so pretty! The left hand picture shows the plain black and what a difference this topper makes to it! Black will never be plain again!! 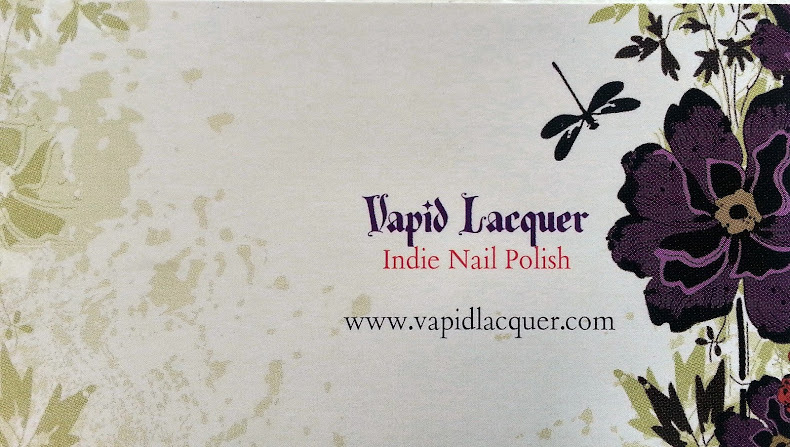 Ive loved trying these polishes, and Kamila is a lovely, friendly and happy gal to deal with. 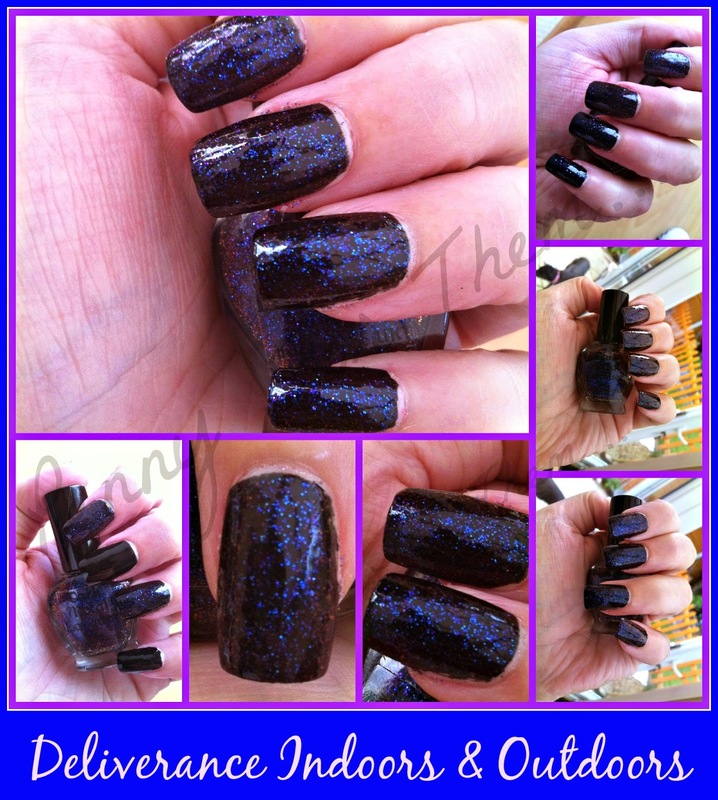 The only downside is that due to to our ridiculous Mail rules, she cannot post the polishes outside the UK. I do hope this changes one day as they are really nice polishes! Thank you Kamila for letting me review these, and for the little background. I hope I've done them justice!! 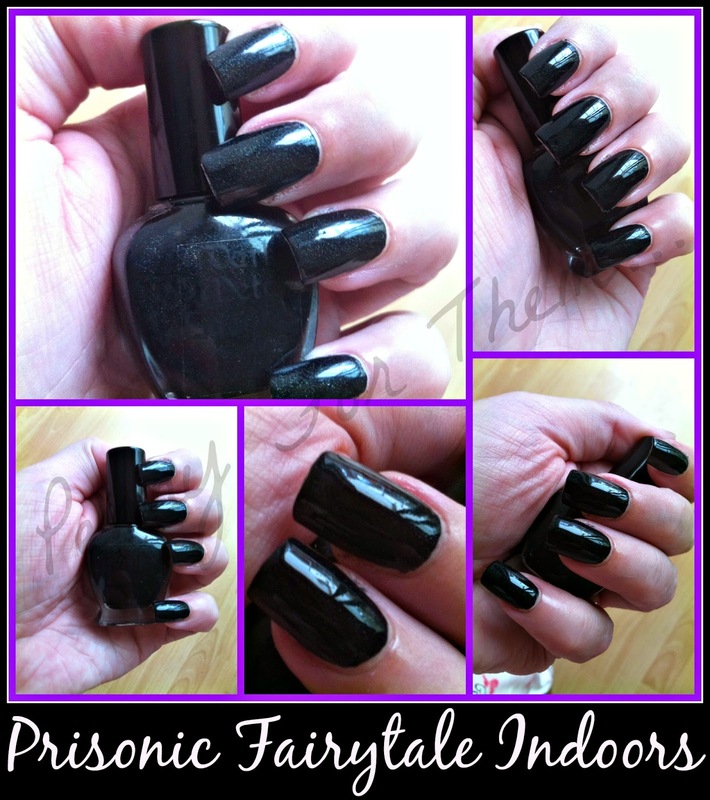 If you want to follow Dark Metal Lacquers, there are links below! 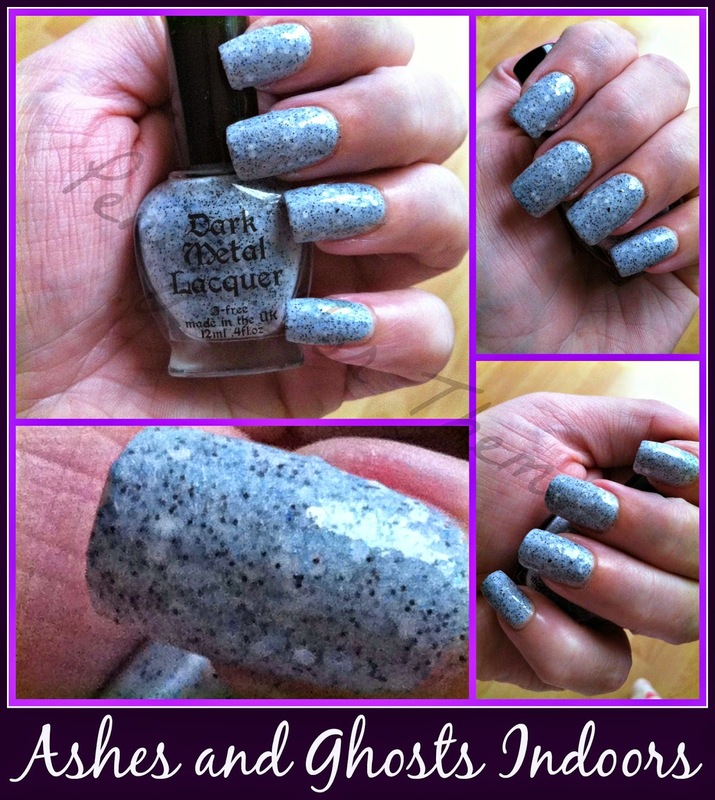 Great swatches and images in general :) I love all of the shades! Those are some amazing colors. I really liked the Heurt and the Prisonic Fairytale, those two colors nailed it for me! wow so gorgeous!!! heurt and prisonic fairytale are my fav!!! I think True is my favourite. I love the blue shades.